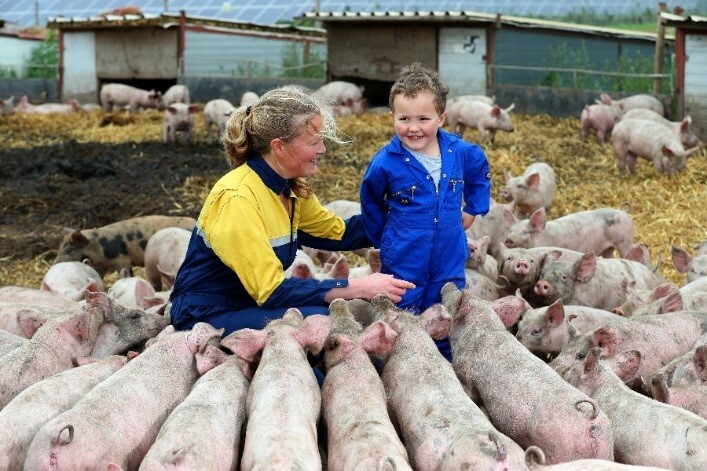 The Longthorp family have been farming for 4 generations, beginning as arable farmers and then adding pigs to the mix to make use of their grain and straw. In 2007, they began to farm their pigs outdoors, making them free range. Anna’s Happy Trotters now sell directly to the consumer through specialist farm shops and butchers. They have a loyal customer base and work closely with their customers in order to make sure their products are made and cut to their individual requirements. They have won several taste awards for their products. How has SIAFS supported Anna’s Happy Trotters? The SIAFS (Stimulating Innovation in the Agri-Food Sector) project has supported small businesses including Anna’s Happy Trotters, with free workshops and vouchers to use at Fera Science. Through the SIAFS project, Anna had a one-to-one meeting with a Business Development Manager to discuss how she could grow the business. Anna also attended workshops as part of the project including; Sales Training, Marketing and Exporting. Furthermore, Anna has met a local Beer producer through the project, and they are currently working collaboratively on developing a sausage using their beer and a beer cured bacon. The SIAFS (Stimulating Innovation in the Agri-Food Sector) project offers free access to business workshops, networking events and masterclasses, as well as our science expertise in the agri food. SIAFS is funded by the European Regional Development Fund. You are eligible for this free project if you are a business in either agriculture or food (or somewhere in between) from West, North or East Yorkshire with less than 250 staff. This project aims to stimulate innovation in the agri-food sector, in order to grow your business.